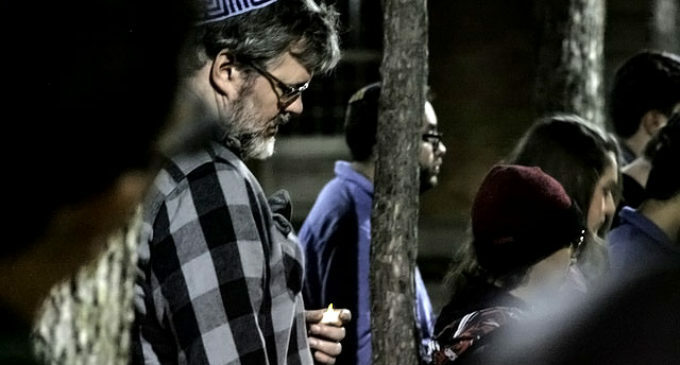 About 75 people took part in a candlelight vigil Thursday evening to show solidarity with the Jewish community in the wake of a mass shooting which occurred at the Tree of Life Synagogue in Pittsburgh on Oct. 27 leaving 11 dead and six injured. 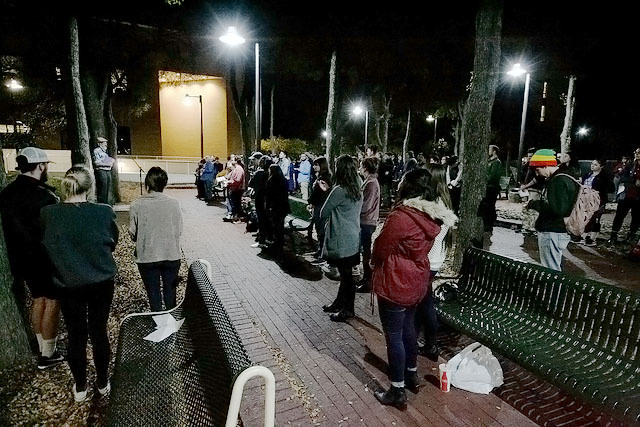 The vigil was hosted by UNT’s Hillel and the Mu Gamma chapter of Alpha Epsilon Pi, a Jewish fraternity. The 11 victims of the shooting, Joyce Fienberg, Richard Gottfried, Rose Mallinger, Jerry Rabinowitz, Cecil Rosenthal, David Rosenthal, Bernice Simon, Sylvan Simon, Daniel Stein, Melvin Wax and Irving Younger ranged in age from 54 – 97. Robert Bowers, the accused shooter, was taken into custody and has since plead not guilty. One of the speakers at the vigil was Rabbi Geoffrey Dennis of Congregation Kol Ami in Flower Mound. Dennis shared the importance of candles in the Jewish tradition of mourning and remembrance. 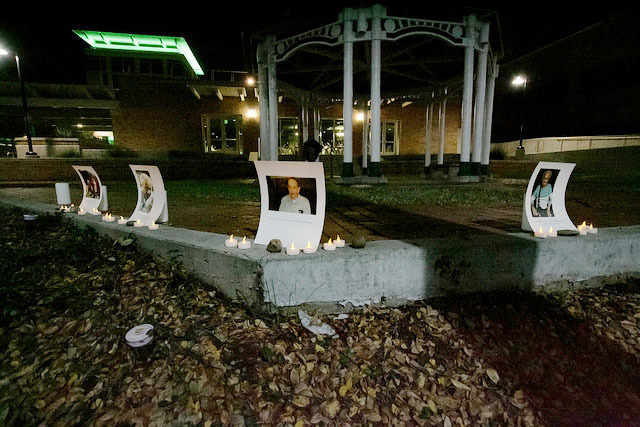 Moses Molina, computer science junior and president of the Mu Gamma chapter of Alpha Epsilon Pi and said he feels the Pittsburgh shooting should encourage more people to physically come out and show their support in the wake of tragedies. Duchin said it is “horrifying and saddening” to see any kind of violence against a community, and the one that took place on shabbat morning was a senseless act against Jewish people simply for being Jewish. The shooting in Pittsburgh has also caused some members of the UNT community to question whether enough is being done on the part of the government to prevent such violence. Evan Cote, a biology sophomore and member of Alpha Epsilon Pi, spoke to the crowd about how he has felt fearful in the wake of events like Pulse Nightclub shooting in Orlando in 2016 and the shooting in Pittsburgh as they attacked important parts of his identity. Molina shared his own words of encouragement for those who may be fearful of other events of this nature occurring in the future. News Editor Sean Riedel contributed to this story.